Taken handheld, NEX-7 with 35mm/1.8 ISO100 F3.5 1/20th. This was a grab shot. If I had not been on my way somewhere, I’d have taken the time to set up my tripod and use a smaller aperture and perhaps bracketed exposures. I was fortunate that the image stabilisation kept the image sharp, and that the NEX-7 sensor has excellent dynamic range so is able to capture the highlights in the stain glass as well as the shadow detail. 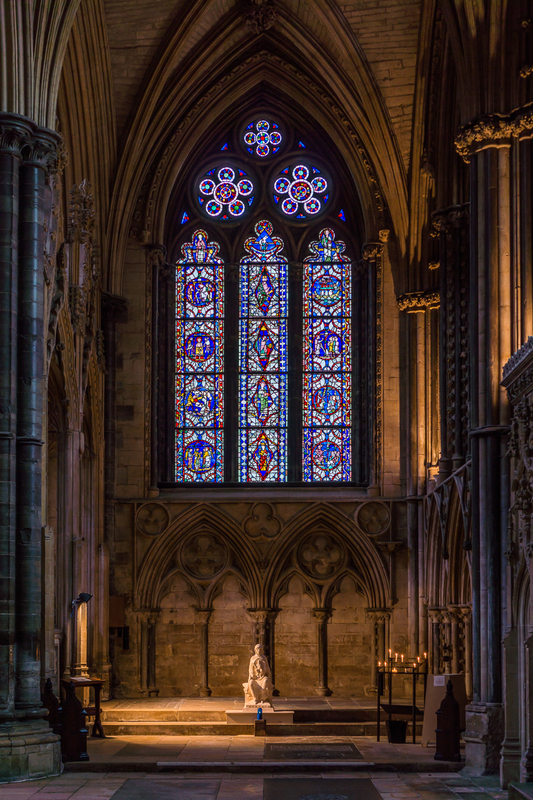 I had the pleasure of visiting Lincoln Cathedral over the weekend and was very pleasantly surprised by their very photographer friendly attitude towards tripods. When I asked the guide whether they were allowed the response was, “of course”. There were no restrictions and I spent quite some time taking panoramas of various parts of the building. However, I was the only person to be using a tripod. There were many taking handheld shots with a myriad of cameras ranging from phones, compact cameras, a few mirrorless and quite a few DSLRs. The lighting could be best described as subdued so I cannot image their photos were able to do justice to the magnificent architecture. Unfortunately the weather outside was overcast so I did not bother to gather external shots, that will have to wait for a return visit when the weather is better. There are so many beautiful places and buildings with photography restrictions, tripod bans being a particularly significant one. Whether it is due to a perceived commercial threat from professional photographers, or overly paranoid health and safety grounds, such bans are counterproductive by discouraging the very enthusiasts who will promote the sights with quality imagery around the web. The experience from Lincoln is that there were absolutely no issues with tripods getting in the way. Commonsense is really all that is needed to prevent them being a problem. Much as I espouse tripod use for getting better photographs, the majority of photographers will not use them. 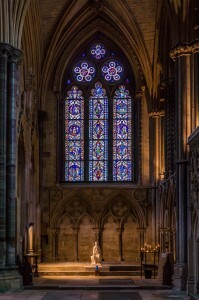 So I heartily recommend Lincoln Cathedral as a wonderful place to visit, even if you are not a photographer. They deserve your support for their enlightened policy towards photography. You should also try to catch Evensong to sample the wonderful acoustic.